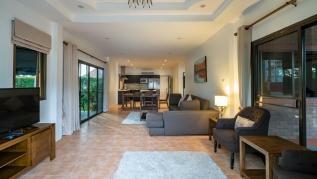 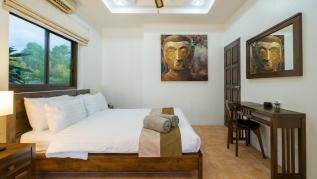 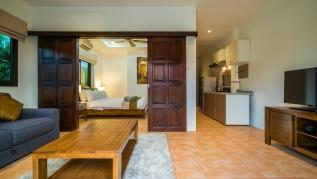 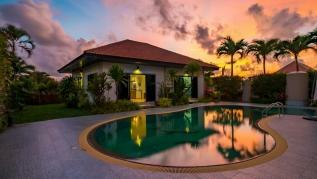 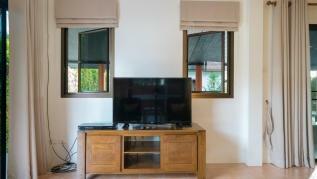 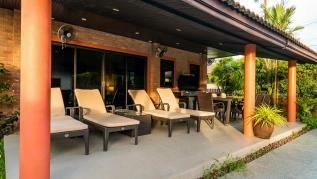 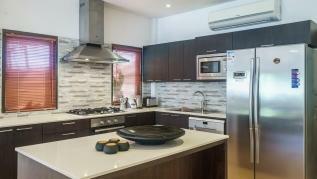 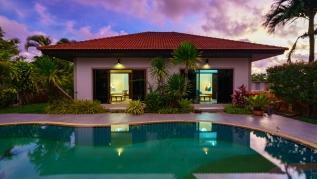 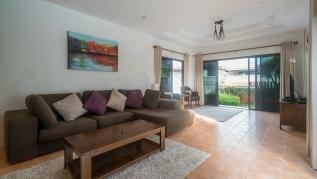 Convenient villa with private pool in ChergnTalay area, near Laguna and Boat avenue. 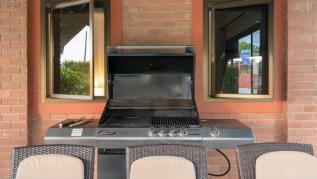 Large outdoor area with gas BBQ and alfresco dining. 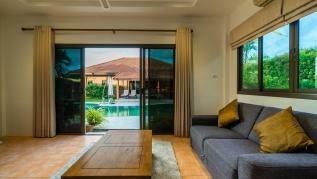 This villa is divided into 3 pavillions, the main area hosts the pool view living room, dining area and full european kitchen (including dishwasher and oven). 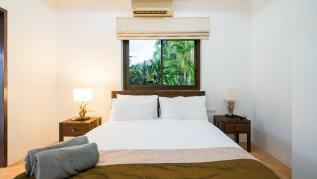 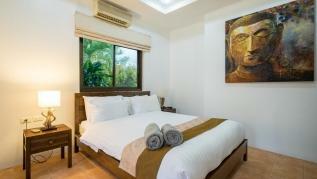 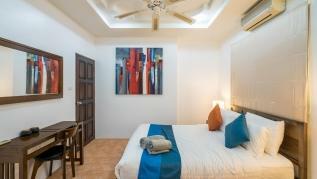 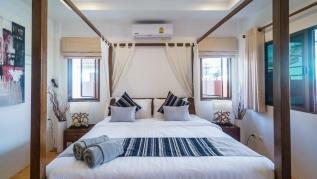 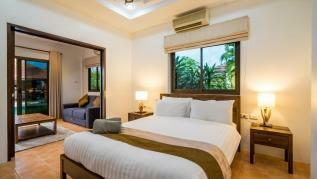 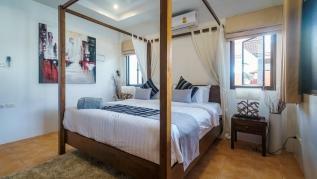 2 ensuite bedrooms (one with a king bed and the other with 2 single beds) are located in this side of the villa. 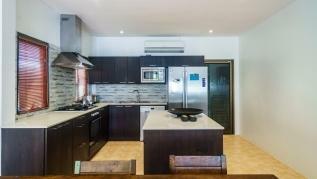 The other 2 bedrooms are on the opposite side of the swimming pool, can sleep 3 people as each bedroom has a sofa bed and kitchenette with fridge, kettle, toaster. 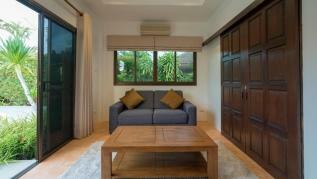 One of this bedrooms have a dividing door and AC on each side so the sofa is on a separate area. 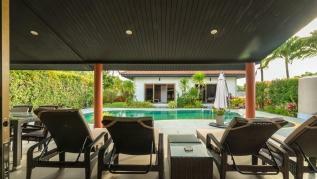 Villa location is in a quiet area at the end of a cul-de-sac, ideal for a relaxing holiday in the middle of nature. 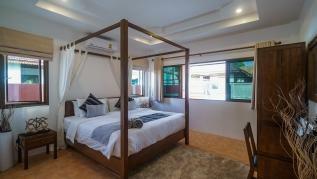 The accessibility of BangTao Beach is 8 minutes drive (3.5 km). 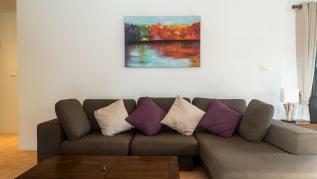 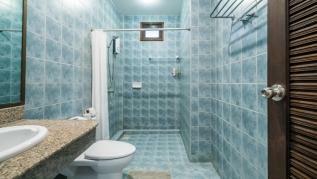 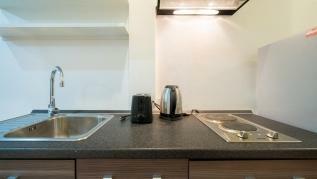 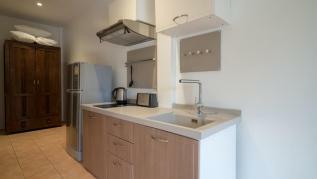 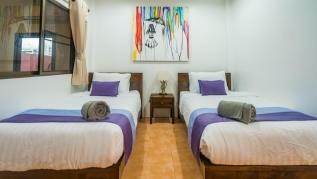 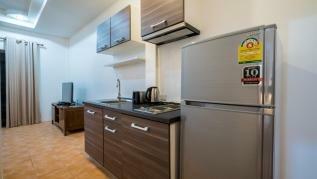 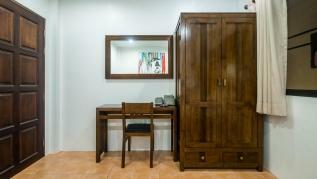 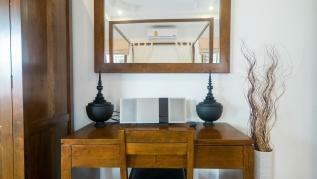 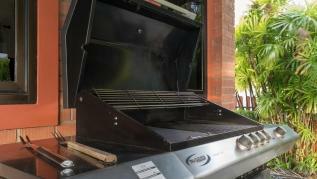 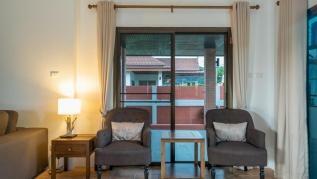 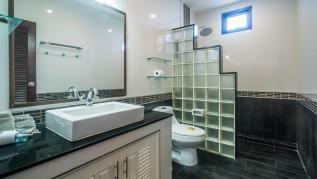 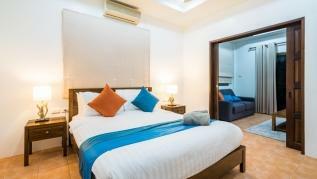 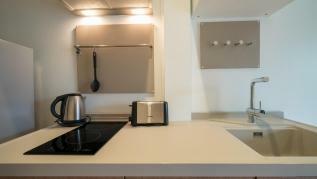 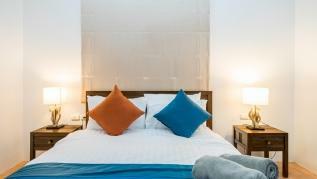 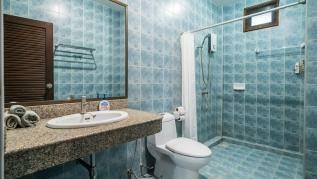 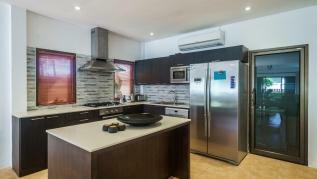 350 meters to 7/11, walking distance to a farmer’s market, massage shop, restaurants. Drive distance to Boat Avenue and Lagoon road: 3 minutes. 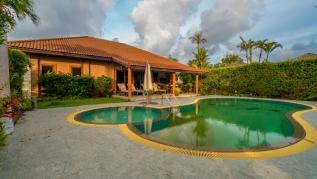 This area has restaurants and shops one next to the other, all types of foods within a short distance to this quiet villa! 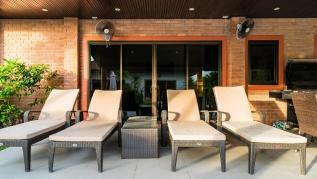 We include 30 kw electric/day, excess is paid at 7 baht/kw. 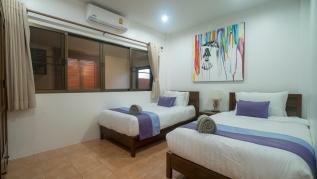 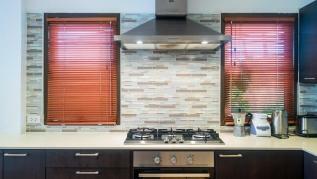 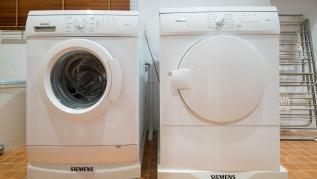 Cleaning is not included in the price and cost is 2,400 baht if needed. 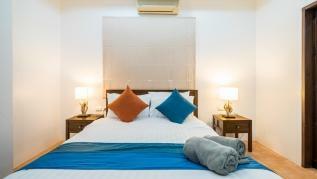 Please book 48hrs in advance.